I’ve said it before and I’ll say it again: I’m not crafty. 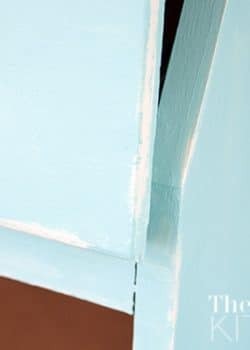 When I do a craft, I like it to be something that’s quick and easy. 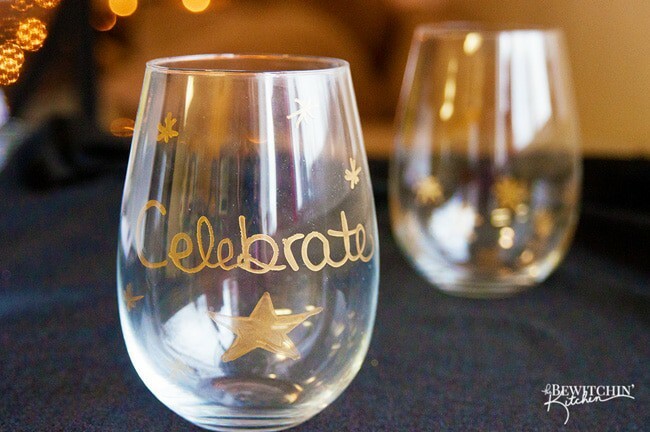 These DIY Gold Wine Glasses are just that. They’re chic and they also make a great host or hostess gift for the holidays. 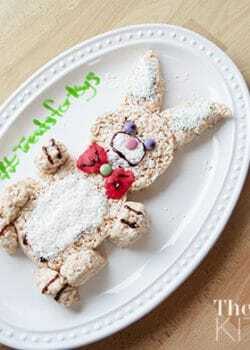 As I said, they are super easy to make.
. I used medium point, but fine would work as well. Wine glasses of choice, I used stemless. 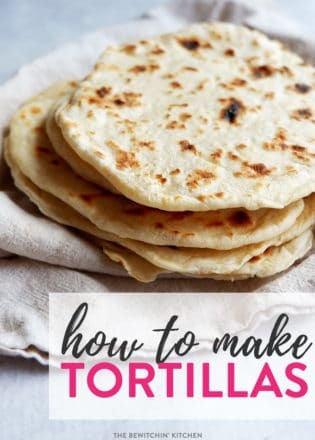 It’s so simple! Draw the design you want with your oil based Sharpie and let dry. Place your glass in your oven and turn the oven on to 350F. Set a timer for 30 minutes. Once the timer goes off, turn off the oven but keep the glass in there. 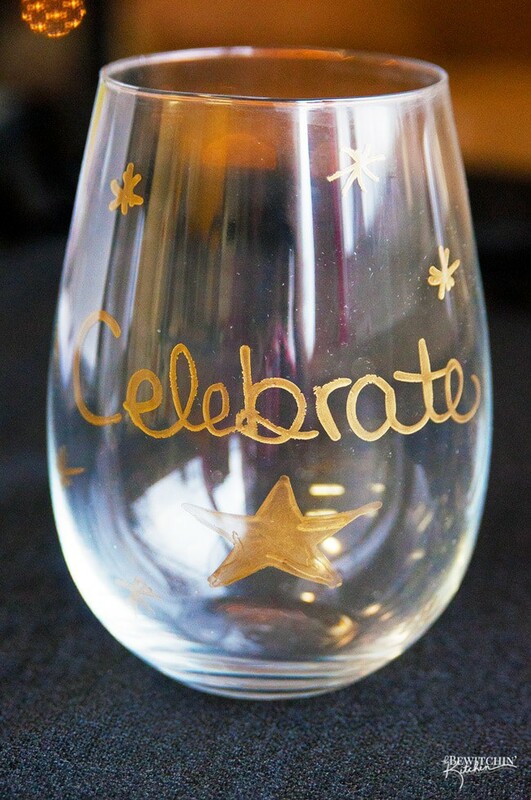 Tip: keep the glass still while the paint dries otherwise it will travel and bleed (you can kind of see it in my photo below on the “b” in “celebrate”. 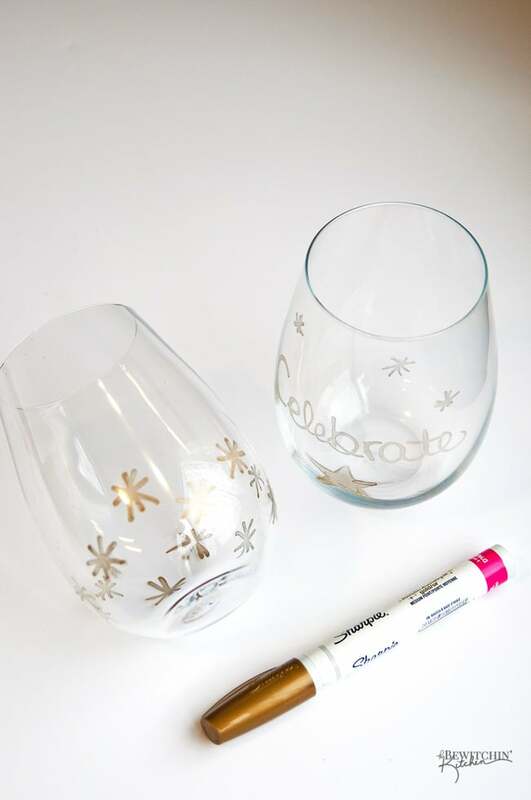 These DIY Gold Wine Glasses are such a simple and easy craft. 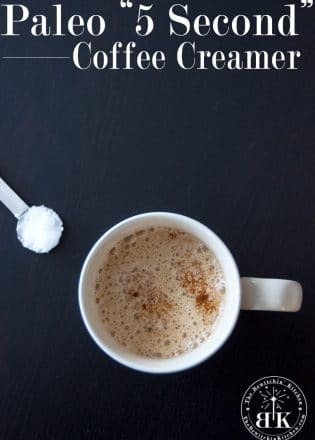 As I said before, they make a great host or hostess gift. 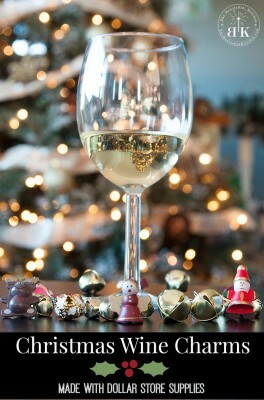 In addition to that, let’s not forget that they are perfect for sipping wine during the Christmas holidays and new years. 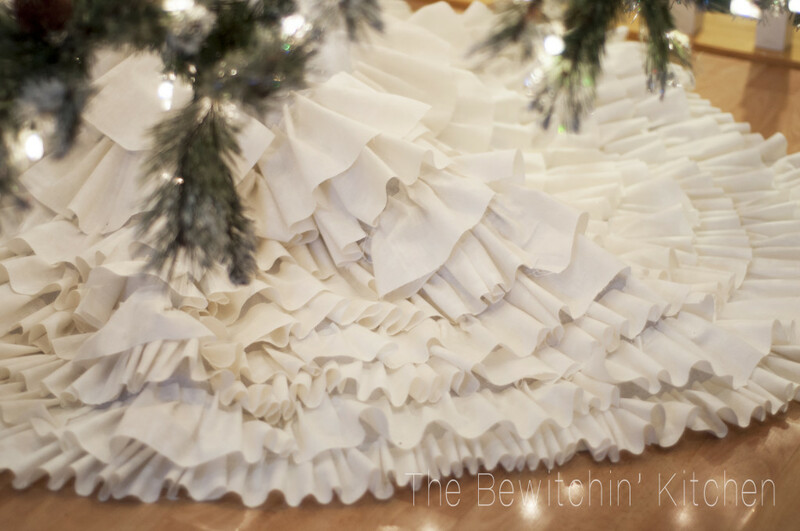 My favorite out of all of these has to be the DIY Ruffled Tree Skirt, I love it because it’s no sew and requires no skill – which is perfect for me. 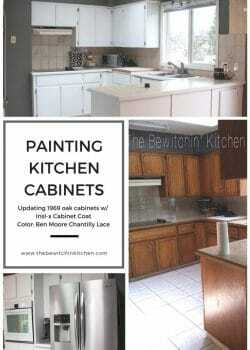 Painting Kitchen Cabinets: How I Transformed My 1970’s Oak Cabinets. Do you think you could put them in the dishwasher? I haven’t been able to test them in the dishwasher yet (my rental doesn’t have one – which is torture). I was them gently with a scotch pad thing and they’re still okay. This is an awesome gift idea! Pinned and tweeted. Thanks for sharing at Merry Monday, hope to see you again next week! They may last longer if carefully hand washed, I’m too lazy haha. Everything goes in the dishwasher. Hey Kris. I responded to your question earlier. Did you get it?